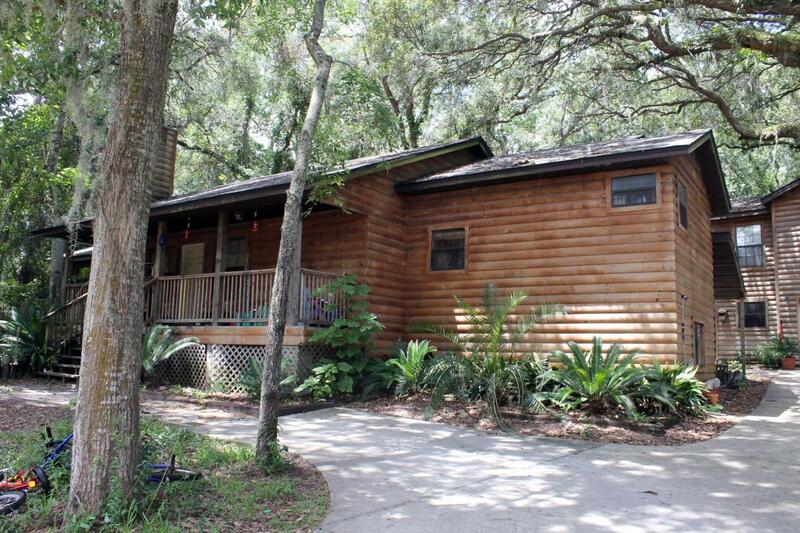 Custom built pine log siding home in desirable area on Amelia Island, with mature oaks and plenty of shade.. with no HOA or CDD fees ! This property has 3 bedrooms, 2 1/2 bathrooms in the main level, along with a bonus room with a full bathroom and it's own private entrance on the side of the home. The detached garage has additional space for a workshop, and has a bonus/extra living space with a full bathroom and small kitchen upstairs.